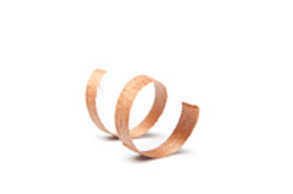 Dean, Cliff and Terry Nowlan founded Top Notch Joinery in July 1991, operating within the construction, retail and display sector. Investment and growth continues to enlarge both business and workforce, and today they operate on a site encompassing 12,000 square feet in Kettering. 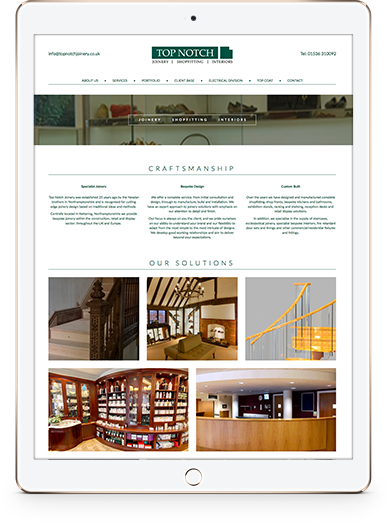 Top Notch asked us to redesign a complete new website for this highly skilled and specialist joinery, shop fitting and interiors business, with a wide-ranging and extensive selection of projects to be presented in a concise and contemporary format. 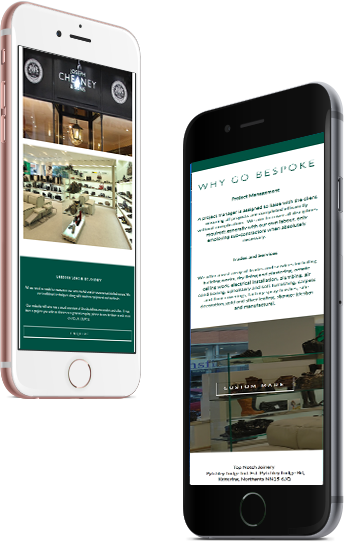 With a large client base of national blue-chip retailers we understood design continuity would be key, upheld by modernising an existing and historically relevant brand colour palette, bringing it into a contemporary environment able to live within a mobile responsive website. 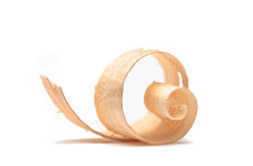 We made sure content returned often to the company's adept ability to maintain long-standing relationships and gain consistent repeat project commissions through its emphasis on skilled craft foundations and excellent project management. 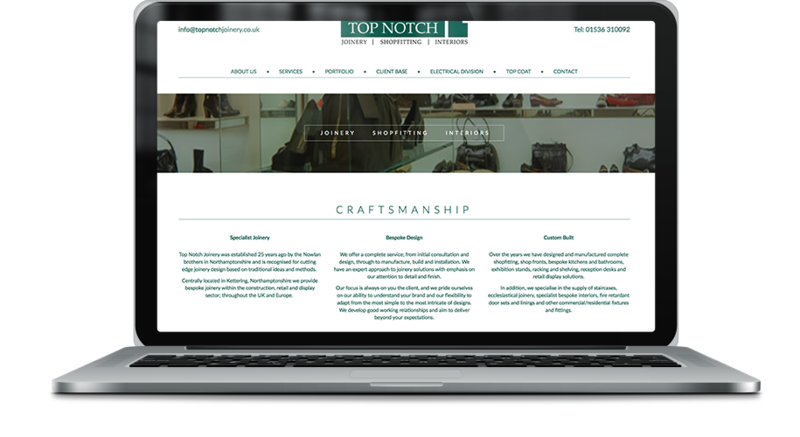 With such a varied client base, and one often onsite, Top Notch had an obvious need for a fully responsive website giving perfect clarity of its services and contact details to the needs of ever-changing market sectors. We developed a crystal clear responsive website adapting instantly and perfectly across all sizes of device.